Recipe yields six ice pops. Place both milks, coconut sugar (or sugar of your choose) and salt in a small saucepan and cook stirring over a low heat until the sugar dissolves. Remove from heat, let cool for a bit, then stir in vanilla. 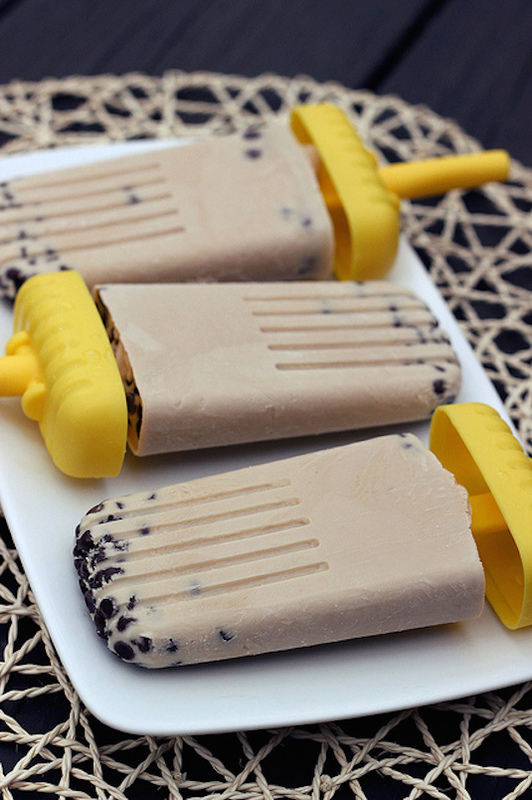 Divide the 1/3 cup of mini chocolate chips between the bottoms of the Popsicle molds. (reserve the remaining chips for later). Fill the ice pop molds with milk mixture leaving a small amount of room on top. *do not put sticks and covers on at this time * Freeze until only partially frozen, about 1 to 2 hours. Remove from freezer adding the remaining half of the chips. Insert sticks and freeze until totally solid. Gluten-free, Vegan (Organic) with no added sugar. Add all of the ingredients to blender and blend until smooth and creamy. 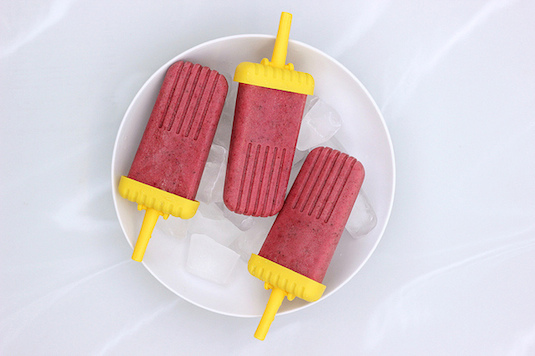 When making the frozen fruit pops pour the mixture into the Popsicle mold and chill for a minimum of 4 hours or until completely solid. For a Smoothie: Pour blended mixture into a glass and serve. This entry was posted in Nutrition and tagged C. diff nutrition, C. difficile hydration, C. difficile nutrition, Dietary Nutrition, hydration on May 12, 2014 by cdifffoundation.